This post was originally published on Smart Insights on 2oth December 2011. I cross-post it here with all the links and tags for your reading pleasure! As marketers constantly look for better ways to use social media to engage with customers and generate positive word-of-mouth and sentiment, a well-designed, thought-out Facebook page is a key platform to target consumers. Facebook brand pages can offer businesses, both large and small, an excellent opportunity to create a presence and a brand experience, but only if this experience is well planned and executed. What makes this page great? With well over 36 million likes, Coca-Cola is one of the most followed consumer brands on Facebook. And how have they done this? By providing a rich mix of innovative, fun and immersive promotions and features that are exclusive to their Facebook followers. 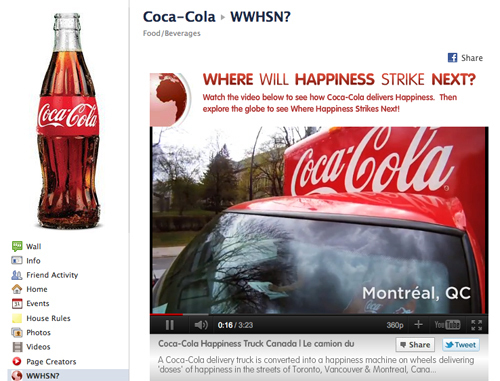 Coca-Cola keeps their campaigns simple and uses a blend of photos and video to encourage fans to join in and participate. The page is fun and there’s plenty to do and see. The online fashion retailer was one of the first companies to move into f-commerce and create a fully integrated Facebook store that is easily accessible from within the page. 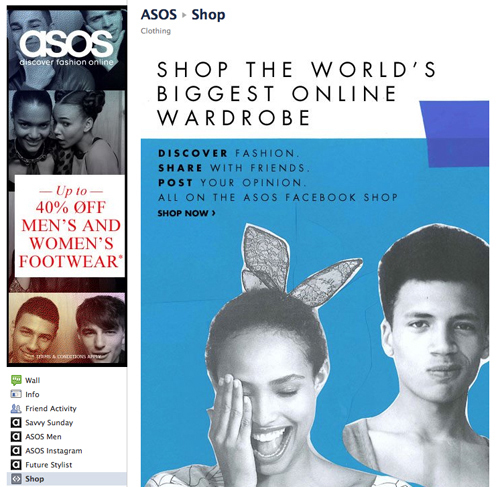 However, it isn’t just the Facebook store that makes the ASOS Facebook page great – it’s the brand’s focus on creating a memorable customer experience for its fans. ASOS regularly posts pictures of new fashion ranges to generate discussion, announces deals and promotions and have also created an Instagram feature showcasing behind-the-scenes pictures from magazines and photoshoots. 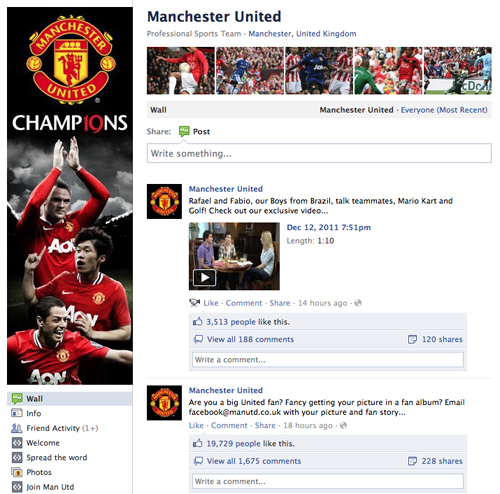 The Manchester United Facebook page gives fans an immersive brand experience by offering behind-the-scenes videos, exclusive interviews and timely, considered posts that range from breaking news to birthday wishes for the players. The page also encourages fans to interact, not only through its use of (good quality) photos and videos but also through polls, contests and questions. Every fan responds differently so Manchester United covers all options. Facebook pages are not just for B2C brands. On the contrary, brands like Cisco have leveraged the popularity and appeal of Facebook to create a very well-designed, informative and immersive Facebook experience tailored to their customer’s and stakeholder’s needs. 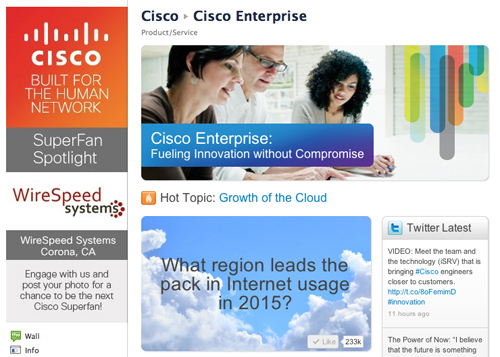 Cisco has used its Facebook page to integrate its Twitter stream, blogs, YouTube videos and Flickr photos so that followers can discover more social content and information about the company. What is also cool is a tab that allows followers to find a Cisco Facebook page specific to their country using the Cisco Facebook Global Map. Just as B2B brands can make an impact using Facebook, small businesses can, too. 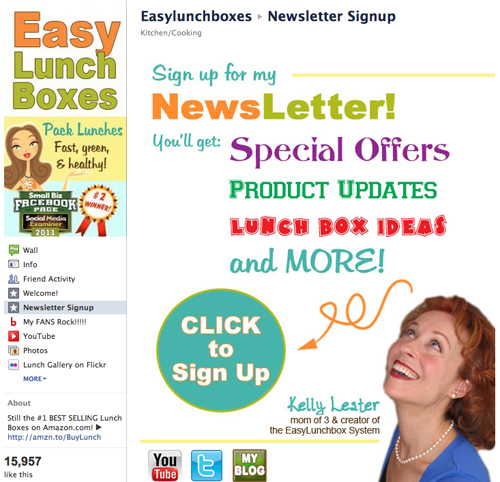 EasyLunchboxes has embraced many of the key ingredients that make up a great Facebook page, including a clear, impactful ‘Welcome’ page, lots of colourful, interesting photos and the integration of their blog, Twitter and YouTube channels. What are your favourite Facebook brand pages? What is about them that makes them so good? « Should Twitter feeds be handled by third-parties?